The Bicycle Steel is a new deck of cards inspired by "Chakkou Hizukuri" a unique Japanese ancient forge welding technique for making samurai swords. 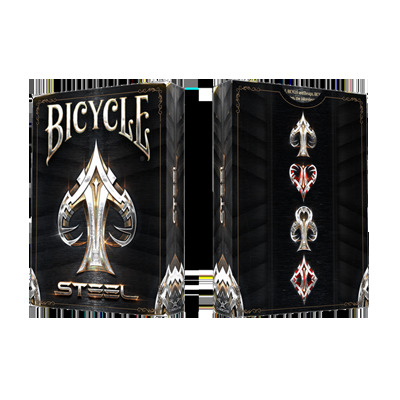 The Steel deck features sharp pips, crystal clear colors, and high quality paper stock for precision gameplay and superb flourishes. Designed by Cardicians and manufactured by the United States Playing Card Company.